In this lesson we’ll be applying the principles of chord inversion to a rock situation. As you should know already, it’s unlikely that you’ll be playing open chords or anything much bigger than powerchords when using a heavily distorted guitar sound. This doesn’t mean that we have to forget about notes other than Roots and 5ths, it just means that we have to be a little more creative in their application. If you’re not familiar with the concept of a powerchord you’ll want to do something about that pretty quickly… Be warned, if you can’t remember what a powerchord is, you probably shouldn’t be here just yet. 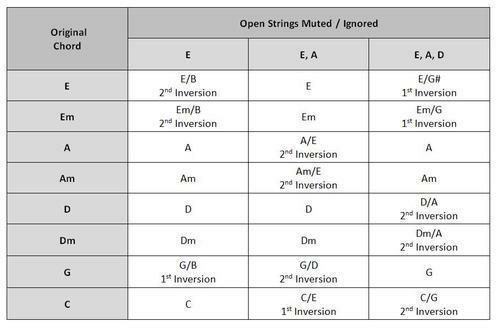 Now, we know that powerchords are prevalent in pop, rock, blues and metal, but what happens when you flip those chords around? We’ll look at this idea in 2 different ways. 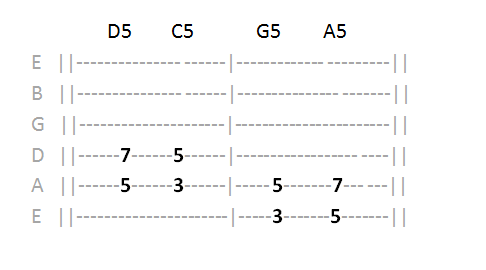 First off, let’s take our basic power chord rhythm. Now were going to take the root note and stick it above the 5th. Because you’ll now be using your first and second fingers to play these notes, you should find it easier to apply a little vibrato to them as well. Remember, the notes you are using haven’t changed it’s just their order. 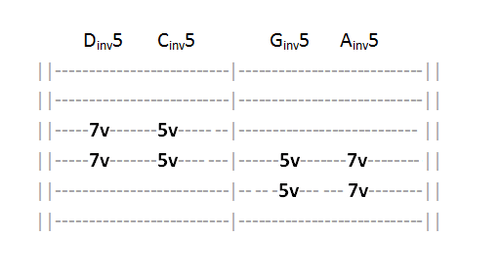 These kind of inverted powerchord double-stop things can be pretty nifty in-between the regular powerchords to add a little variation, or they could be played by a lead guitar to add a bit more depth and character to what the rhythm guitar is doing. 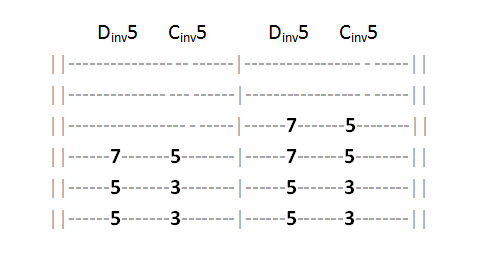 Try playing some of your own riffs using these double-stops instead of powerchords. Have fun with those, I’m especially fond of them because they can make anything sound instantly really heavy, (in my opinion much heavier than down-tuning alone will allow).